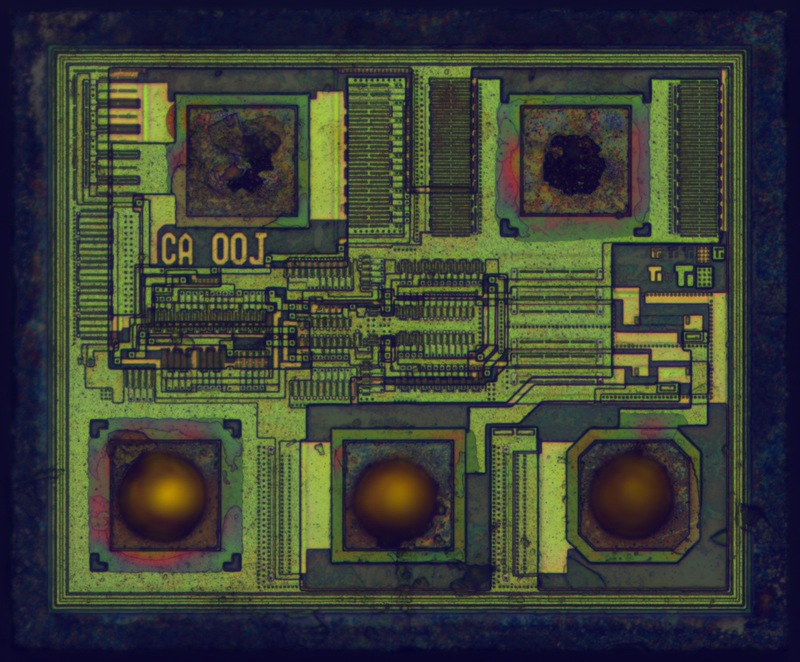 Remember we said that the simplest possible microchip is 74AHC00? We were wrong. Simplest possible microchip is it's 1-gate version, SN74AHC1G00 made by Texas Instruments. Die size 520x420 µm. After etching 2(!) 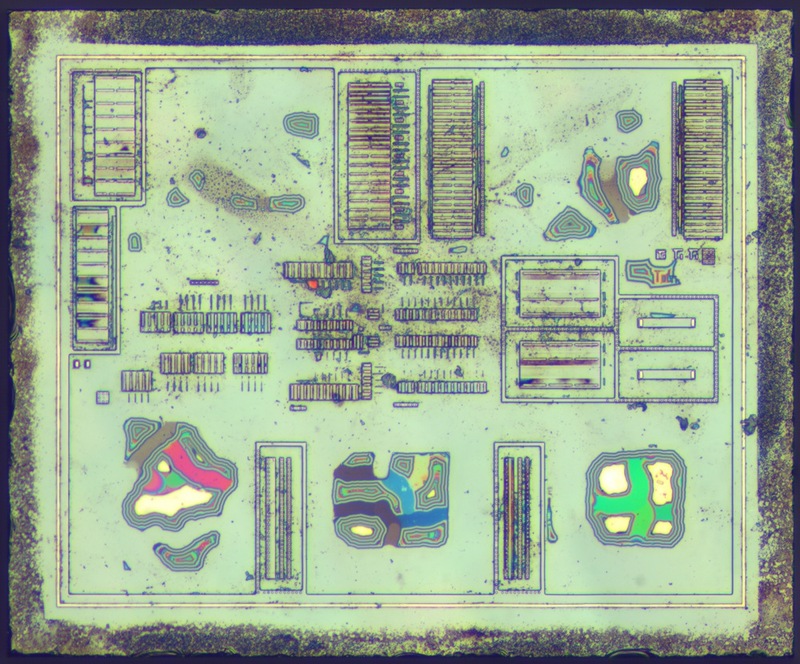 metal layers, we can see that chip area occupied mostly by pads, input protection, and output transistors. Funny rainbow things below pads - partially etched insulating dielectric masked by what's left from gold bond wires.